"Making the Compliance Grade: Market View on Compliance Management"
Compliance is strong in some areas and weak in others so companies looking to build on their compliance “grades” with automated tools should take these concepts in this report and consider the notion of timeliness, tracking, risk management and reporting as key elements for success. More and more organizations are looking to automated solutions to help them gain greater visibility and control over their processes.Companies are demonstrating some level of automation in their operations; the level and scope will vary depending on the maturity of their automated compliance ecosystem. 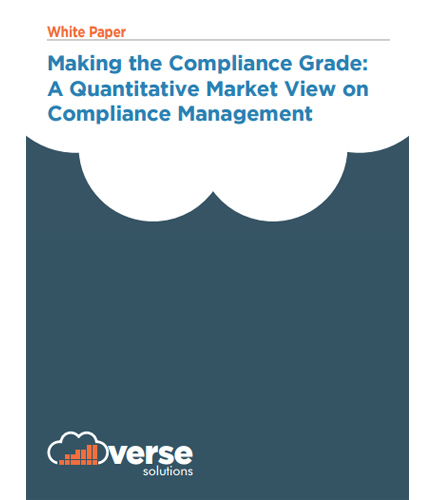 With that in mind, VERSE gauged the common challenges in compliance management around Quality and Safety and compiled the results in this compliance grader white paper.